Blue Point has emerged as a contender for the Coolmore Nunthorpe Stakes at York on August 24. Sent off the 5-2 favourite for the Darley July Cup having won the King’s Stand Stakes over five furlongs, he raced too keenly and finished seventh behind the Aidan O’Brien-trained US Navy Flag. The Derrinstown Stud Flying Five at the Curragh on Irish Champions Weekend is his other option. 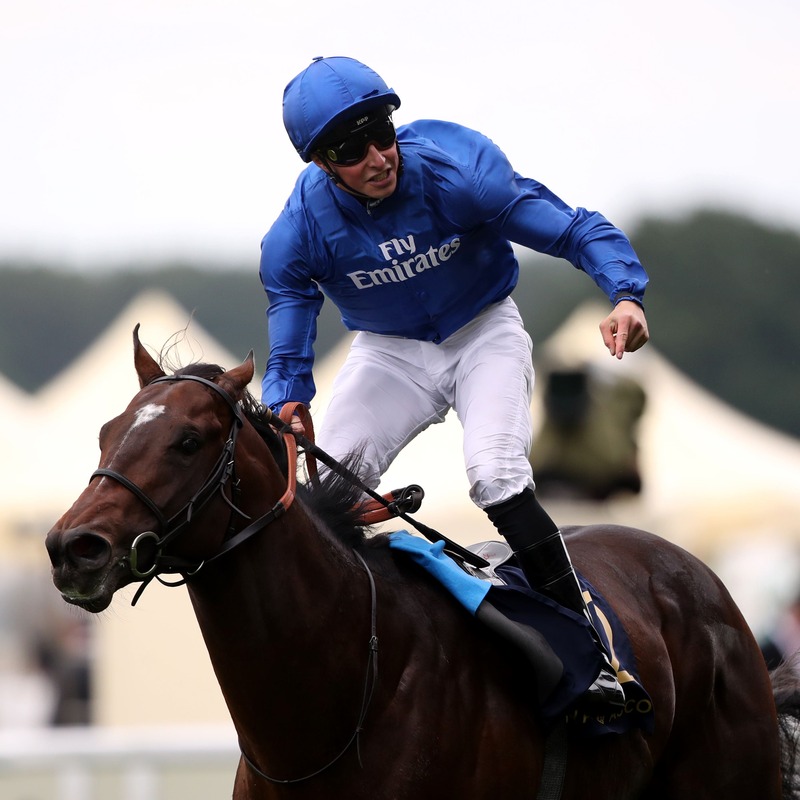 “Will (Buick) said he couldn’t get any cover early on and therefore he over-raced,” said trainer Charlie Appleby. “Take nothing away from the winner, he’s a multiple Group One winner and displayed a lot of speed, but it just didn’t pan out for us. “On the back of that Will mentioned dropping back to five, which just might help him in the first furlong so he can race the right way round, whereas yesterday he raced the wrong way round. “He’s got the Nunthorpe and the Flying Five as options. He does have a great track record at Ascot, but he also won the Gimcrack at York, so he obviously handles that. Despite that reversal it was a successful July Festival for Appleby, with juveniles Quorto and Al Hilalee impressing. “We had a good July meeting and hopefully we’ve got a couple of nice two-year-olds coming to the fore,” he said. “Al Hilalee, who broke his maiden on Friday and looks a mile-and-a-quarter, mile-and-a-half type of a horse, and Quorto on Saturday. “He (Quorto) showed plenty of gears and when you are talking about top-class horses, they should be showing that. Masar won over six furlongs and this horse broke his maiden over six as well.